Right now, we basically only have political songs that are either in support of a Turd Sandwich or against a Giant Douche. As a surprise to absolutely no one, the newly reformed Le Tigre are backing up the former. 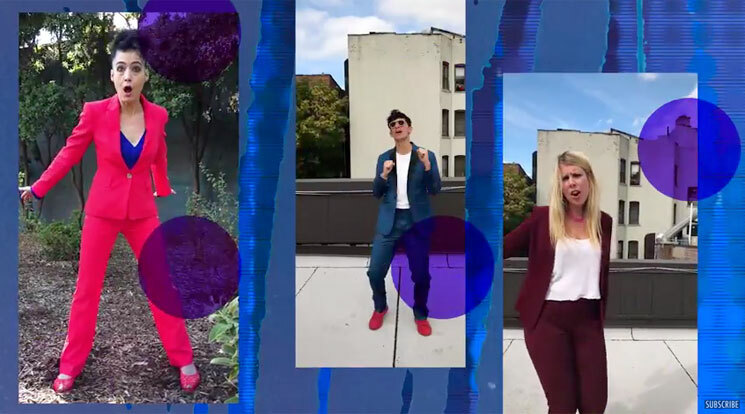 For their one-song return — marking their first new material in over a decade — the trio of Kathleen Hanna, Johanna Fateman, and JD Samson are throwing their support behind Hillary Clinton in a new anthem "I'm with Her." It arrives courtesy of director Laura Parnes and producer Tanya Selvaratnam, who are part of a group called Filmmakers for Hillary, "a coalition of creatives committed to electing Hillary Clinton as President of the United States." For their part, they fill the clip with tons of avid Hillary supporters, while Le Tigre arrive in a trio of frames, complete with purple polkadots. The song itself is obviously full of pro-Hillary talk as well, with the chorus telling us, "I'm with her / To the top / She's with us / We won't stop." Watch the video and hear the song for yourself below via Pitchfork.